Chamber Philharmonic Europe performs a concert of Classical favourites at the Linenhall Arts Centre in Castlebar on Monday March 25 at 8pm. Chamber Philharmonic Europe (also known as Kammerphilharmonie Europa ) is an orchestra of talented young musicians recruited from 18 European nations. Founded in Cologne in 2006, it has achieved an outstanding artistic level and tours widely across Europe, including Switzerland, Sweden, Denmark, France, Netherlands, Great Britain and Ireland. 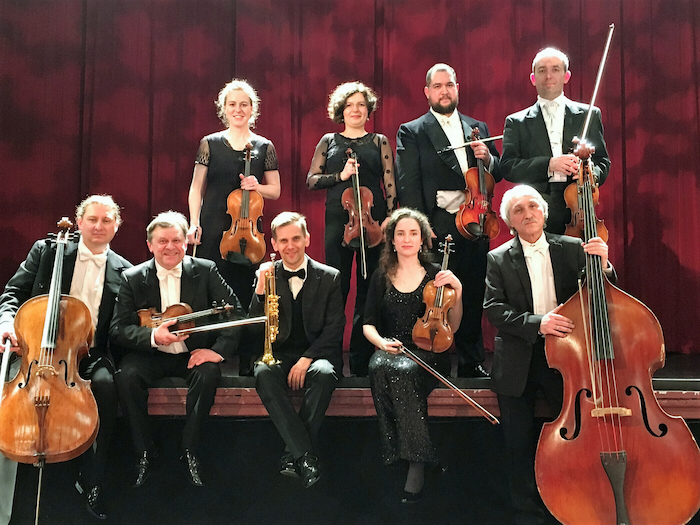 The Chamber Philharmonic Europa is a fully professional and privately financed organization, which, with its increasing popularity, is also involved with several charities. The orchestra periodically engages with various partners for benefit concerts throughout Europe. In this concert Michel Gershwin (violin ) and the eight-member ensemble will perform some well-loved repertoire. Booking advised. Tel: 094 9023733 or online at www.thelinenhall.com The Linenhall Arts Centre acknowledges the financial support of the Arts Council in making this event possible.